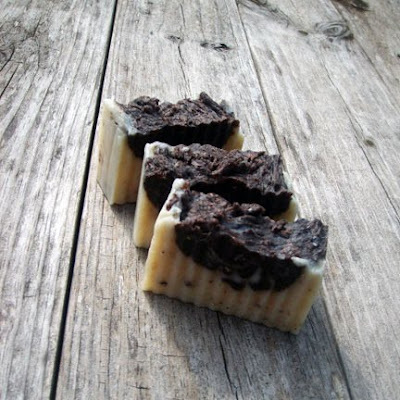 If you love chocolate, you’ll love my newest soap creation. Enjoy it all you want and you won’t gain an ounce. 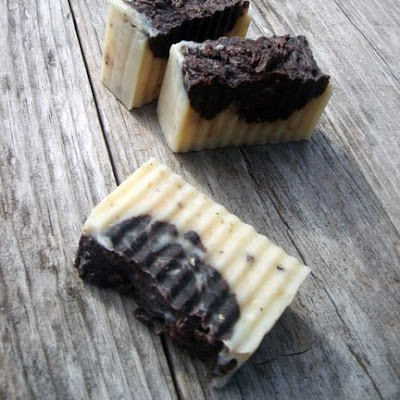 My chocolate soap delivers a bounty of antioxidants and phytonutrients to your skin. Its yummy scented creamy lather is antibacterial as well. Every chocolate lover you know will crave this cake of soap. I added oatmeal gently exfoliates and unclogs pores, making it a classic ingredient in soaps. Oatmeal soothes irritation and softens skin. I thought when I saw the thumbnail of this...it was some yummy fudge or something...LOL...but SOAP? I've never heard of chocolate soap! I bet this smells amazing, and feels sooo good on your skin.